The truth is out there - and it starts with this X-Files Fox Mulder Vinimate Figure! Celebrate 23 years of The X-Files with this classically-styled Vinimates vinyl figure. 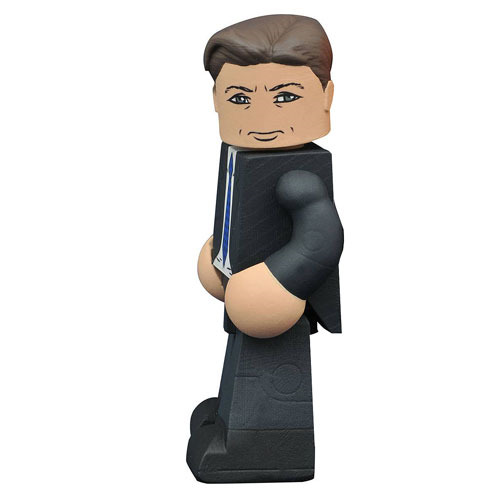 Designed in the Minimates block-figure style, this 4-inch static Fox Mulder figure depicts Agent Fox Mulder in his classic appearance, with his arms crossed, as if daring the world to give him a mystery he can't solve. The Fox Mulder Vinimate figure features a ball-jointed neck, and comes packaged in a full-color window box. Ages 14 and up.